Rolling hills, scenic beauty and pristine waters.  Welcome to the Cadillac area, offering an abundance of angling options on the lakes and along our rivers. This area is unique in that there are several nearby streams and rivers that offer an angler a wide range of opportunities to fish for several different species of Trout, Steelhead and Salmon, all within a half-hour drive from downtown. When deciding to go out on the river, one has to keep in mind that some of the best fishing takes place on the Manistee River system. 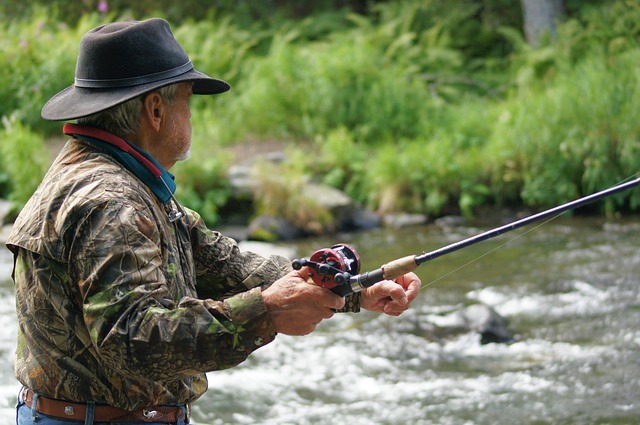 The Manistee River is known for its spring season run of Steelhead, and year-round Brown Trout fishing. In the fall, the Manistee River is world-renowned for Chinook & Coho Salmon. Anglers flock to the waters to take on these monster fish. Bring your own gear, or take a trip up river with one of the area’s experienced guides. For those who enjoy the vast open water fishing found on Michigan’s inland lakes, the Cadillac area has two of the best inland fishing lakes connected by the navigable Clam Lake Canal. Those lakes are Cadillac & Mitchell. Located entirely within the city limits of Cadillac, you will find the 1,150 acre Lake Cadillac. Approximately 50% of Lake Cadillac has a depth of less than 15 feet, however, there are a few areas of the lake that achieve depths of 25’ – 27’. Lake Cadillac offers a wide variety of fish such as Walleye, Perch, Bluegill, Pan Fish, Bass and Northern Pike. There are two public and one State of Michigan maintained access ramps in which boaters may access the lake. The first access point is located near the Cadillac City Park along the North Shore on Chestnut St. A second access ramp is located on the northwest end of Lake Cadillac in the Kenwood Heritage Park. Located on the west end of Lake Cadillac is the picturesque Mitchell State Park which is one of the gems of the Michigan State Park System. Mitchell State Park is situated on 627 acres and maintains 221 campsites. The State Park also maintains a boat ramp that provides easy access to both lakes Cadillac and Mitchell. Fishermen can navigate between the 2 lakes by utilizing the Clam Lake Canal. The Clam Lake Canal, which joins lakes Cadillac and Mitchell, is 48 feet wide and 1/3 of a mile long. It has been featured in “Ripley’s Believe It Or Not” as a natural phenomenon, because it freezes first in the winter and once the lakes freeze, the canal will thaw and will remain ice free the entire winter season. Lake Mitchell can be accessed through the canal, or the Mitchell State Park day use area. * It consists of 2,580 acres and over 2,000 acres of the lake is lush with aquatic cabbage weed. Over 95% of Lake Mitchell is less than 15’ deep with a few fishing holes between 20‘ and 22’. Some known “hotspots” on Lake Mitchell can be found on the east side, approximately 50 yards directly out from the Mitchell State Park day use area. Walleye is known to be caught by Pilgrim Village Resort and the mouth of the canal. The big cove by Camp Torenta offers anglers numerous opportunities to hook Pike, Crappie, and Pan fish. During the winter season, approximately mid-December after the ice becomes safe, anglers have very good success catching Northern Pike and Pan Fish on Lake Cadillac. The angler achieves success by either spearing, using a decoy, or setting up tip-ups below the ice using a treble hook with a live shiner or sucker minnow. Walleye anglers are successful using tip ups with live bait or using rods with artificial lures. Blue Gill, Perch, and Crappie are abundant and the angler may achieve very good results using jig rods with live bait such as wax worms, mousies, spikes, and minnows. From the rivers to the lakes, Cadillac is a true four-season fishing destination. Boasting over 20 species of fish with ideal angling conditions almost year-round, it is no wonder that thousands flock to the waters searching for that next fishing story they can tell their friends back home.